Welcome to the home for May 12th International Awareness Day information. May 12th has been designated as International Awareness Day for Chronic Immunological and Neurological Diseases (CIND) since 1992. 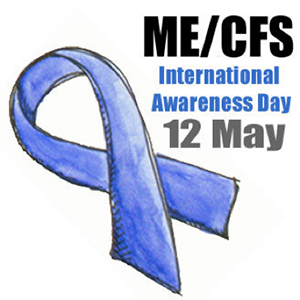 The CIND illnesses include Myalgic Encephalomyelitis (ME), Chronic Fatigue Syndrome (CFS), Fibromyalgia (FM), Gulf War Syndrome (GWS) and Multiple Chemical Sensitivity (MCS). Every year a number of events are held to mark May 12th. They will either be held on May 12th or sometime during the month of May. So please mark your calendar and join us on every May 12th and help raise awareness. Event news will be available on Facebook, Twitter and this site. There will be something for everyone!